AutoCAD is the design software tool and leader in digital design industries. It is one software which can be used by Civil engineers, architectures, mechanical, manufacturing, electrical and interior designers. AutoCAD creates most beautiful, stunning and creative designs, floor plans, product designs in the blink of seconds and gives a virtual presentation to your clients before even you start the project. 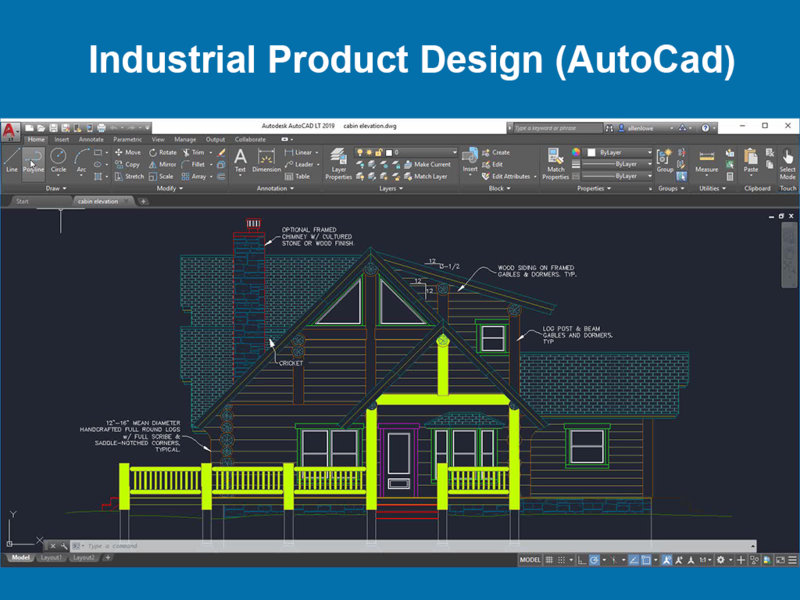 AutoCAD is used across a wide range of industries, by architects, project managers, engineers, graphic designers,civil Engineers and other professionals. Being the flagship software of Autodesk, its prefered by companies for its ease of documentation and 2D and 3D drawing ability. A product designer and civil engineer are required to have complete knowledge about virtually validating a design or structure. But we believe an engineer needs something more than that to strive in an industry. This course is a part of Ready-for-Industry courses, which aims to make, the budding designer or civil engineers, adept with the scenarios in a company. The outcome of such courses is to give that extra edge to the students where in a company views them as the right candidate. 3. This is a Ready-for-Industry course which gives you ample knowledge to ace your placement drive.